– What is a PD&E Study? The US 92 Project Development and Environment (PD&E) study evaluated widening US 92 in Polk County from a two-lane road to a four-lane road with a median. The project limits are from County Line Road to Wabash Avenue, for approximately four miles in length. This study evaluated alternatives to the north, to the south, and along the center of the existing US 92 alignment and also included accommodations for transit, bicycle and pedestrian features. The proposed widening improvements for US 92 will accommodate traffic demand generated by projected population and employment growth in Polk County.  FDOT anticipates this project will improve connectivity between downtown Lakeland and Interstate 4 for both industrial and residential traffic, enhance safety along the project corridor, and improve emergency evacuation. This project is identified as a cost affordable project in the 2040 Polk County Transportation Planning Organization (TPO) Long Range Transportation Plan (LRTP) Cost Affordable Plan. Funding for the design phase of this project is included in fiscal year 2019 and the right-of-way acquisition phase is included in fiscal year 2021 of FDOT's Tentative Five-Year Work Program, fiscal years 2018-2022. Construction is currently not funded in the work program.